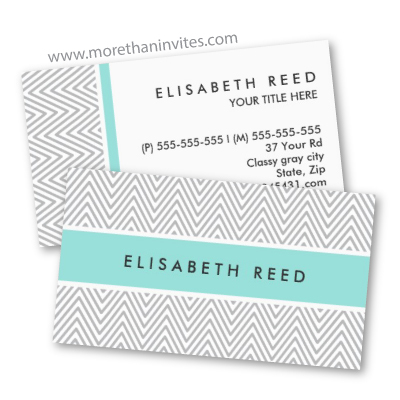 Modern, trendy profile or business card with a light turquoise aqua blue, horizontal band over a light gray chevron zigzag pattern. Customizable name on the front and name, title and contact information on the back. Stylish and classy design for women.